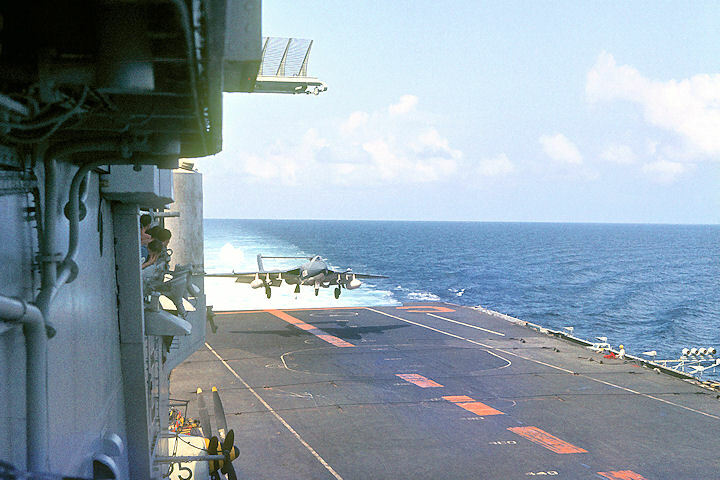 A representative selection of Fleet Air Arm aircraft operating from aircraft carriers in the Middle East is depicted in the galleries on this page. At the time they were taken, the Royal Navy was the proud owner of five active aircraft carriers; HMS Ark Royal (R), Centaur (C), Eagle (E), Hermes (H) and Victorious (V) plus two Marine Commando helicopter carriers; HMS Albion (A) and Bulwark (B). The letters in brackets are ships’ codes which were replicated on the tailfins of individual aircraft to indicate the ship they were allocated to. Anecdotes and images from pilots or seamen who flew and serviced these remarkable aeroplanes would be most welcome. Please make first contact with the author via the Contact button in the left column. 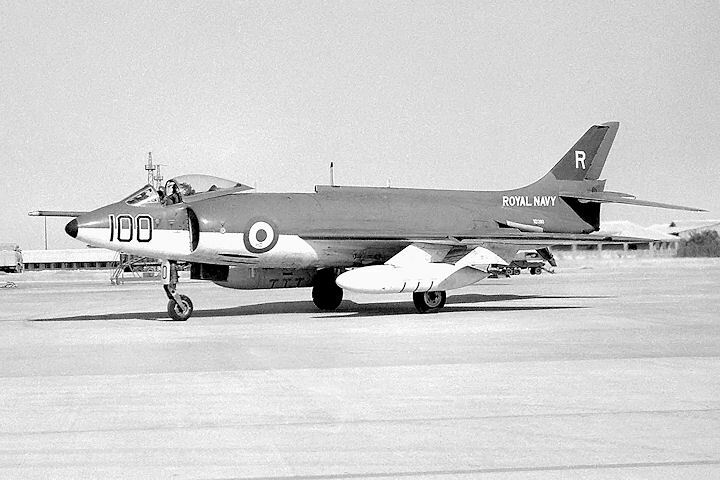 Well loved by its pilots, the Scimitar was powered by two Rolls-Royce Avon 202 engines delivering a total of 22,500 lb of thrust. 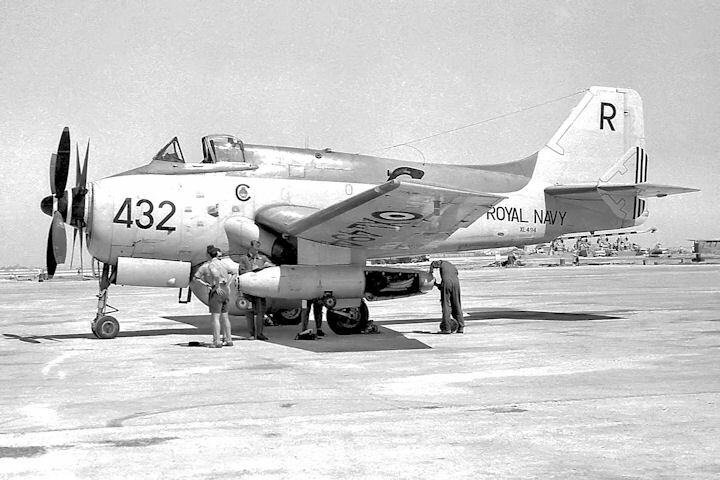 Although its main armament comprised four Aden 30 mm cannon in the nose, this versatile fighter could carry a wide range of underwing stores such as the Bullpup and Sidewinder missiles, rocket pods for ground attack and even the precursor to the Buccaneer’s nuclear bomb. 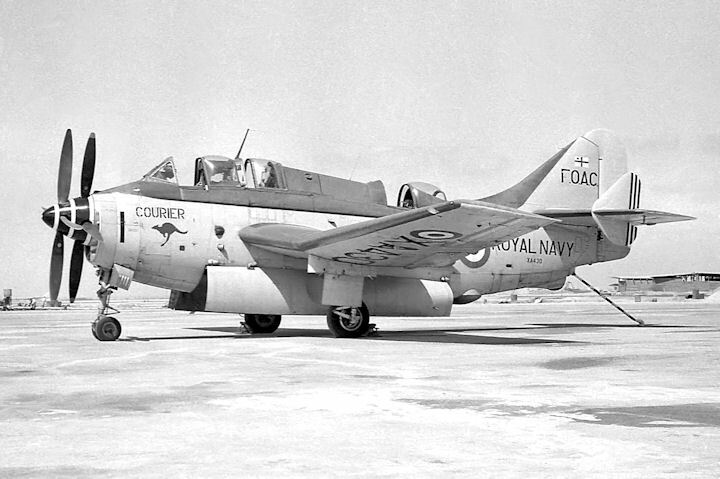 It was also capable of air-to-air refuelling using a ‘buddy-buddy’ pack mounted on an underwing pylon. 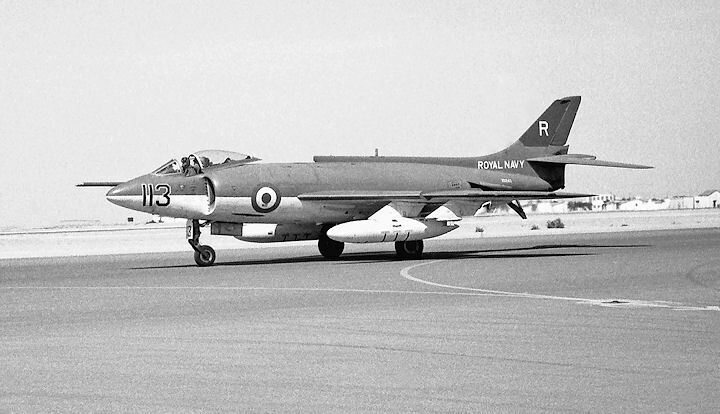 Having entered service in 1958, the Scimitar was finally withdrawn from the FRU at Hurn Airport in February 1971. 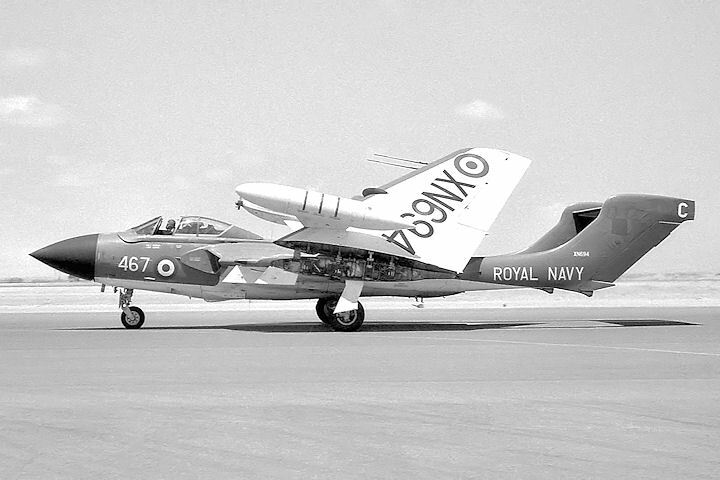 Number 800 Squadron reformed with Supermarine Scimitars in July 1959 and retained them until disbandment in February 1964. 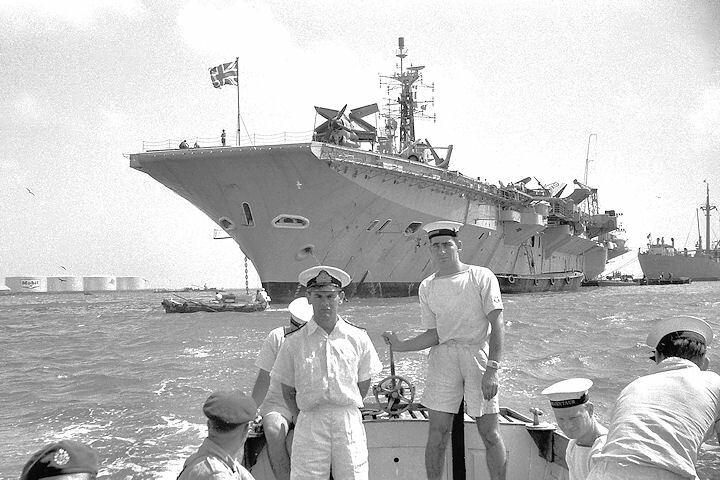 It is recorded has having passed through the Suez Canal aboard HMS Ark Royal in March 1962, en-route to the Far East. 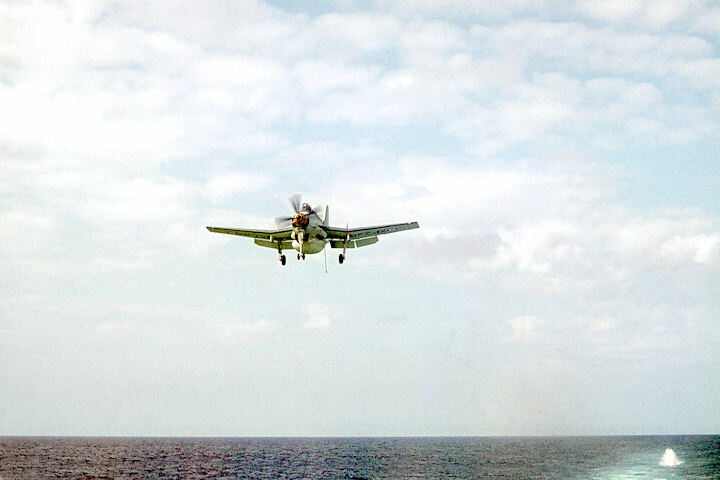 On its return sailing, the carrier called in at Aden and where several of its aircraft deployed to Khormaksar from 1 to 13 November, during which time 800’s Scimitars provided relief to the Hunters squadrons by flying combat air patrols in the Radfan area. 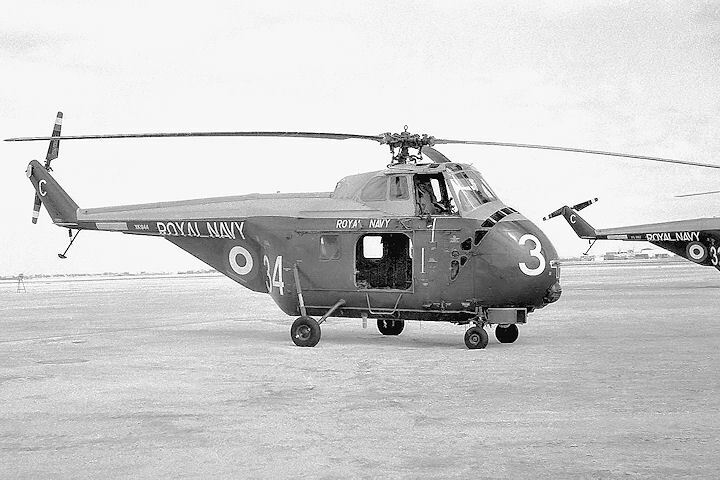 Number 803 is another Scimitar Squadron recorded as having taken part in operations in the Middle East Command area. 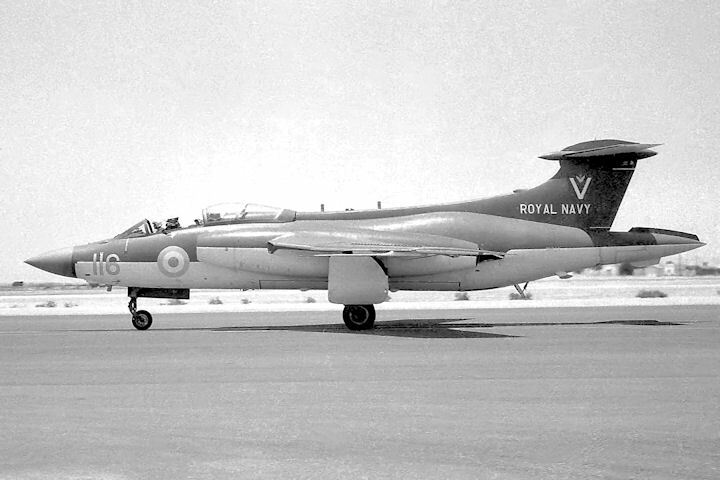 The most notable event occurred during the Kuwait crisis of 1961, and while on board HMS Victorious, the squadron disembarked and flew into airfields at Almadi and Farwania but, like the 8 and 208 Squadron Hunters alongside them, they were not called into action. 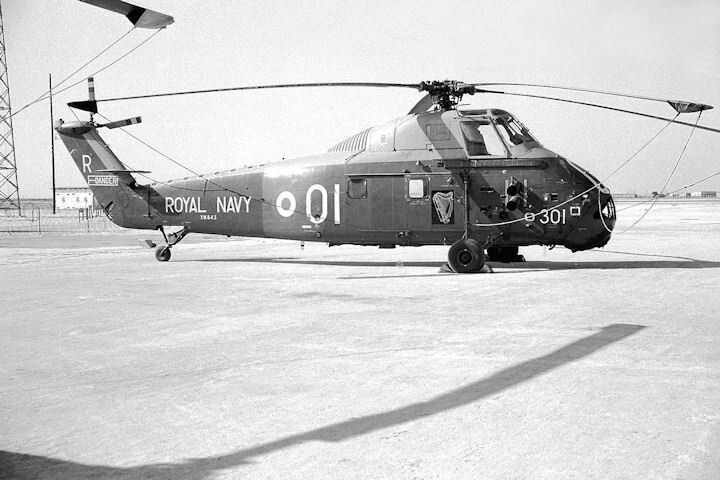 On 9 July, 1961, 807 Squadron was embarked on HMS Centaur and on reaching Aden, two of its Scimitars were flown into Khormaksar. Four days later, one of them suffered brake failure on landing and shot off the end of the runway and into the mud, causing severe damage. On the 21st, the carrier sailed for the Gulf, there to relieve HMS Victorious on Kuwait guard duty. Number 807 Squadron’s aircraft were flown off to the forward airfield at Farwania where they remained for a short period. 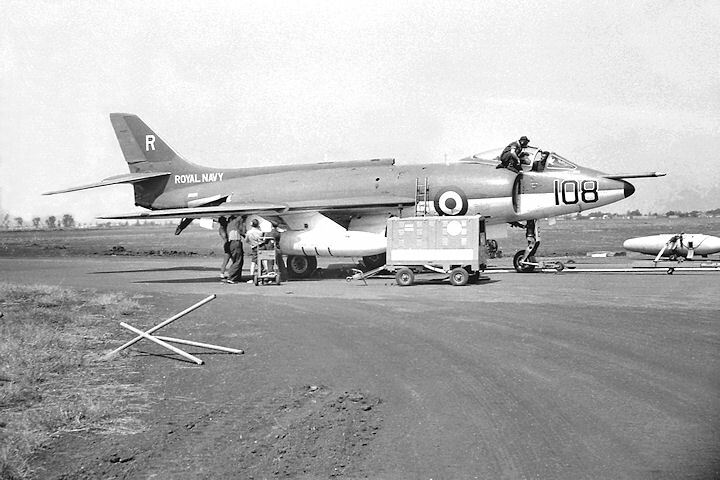 A selection of images depicting the Scimitar F.Mk.1 are displayed in the gallery below. 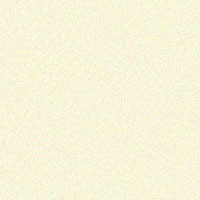 As the aircraft has no markings it is probably a replacement for one recently damaged or lost. Built to the same all-weather fighter specification as the Gloster Javelin, and arguably a much better all round aircraft, the Sea Vixen was designed as an interceptor, was powered by a pair of Rolls-Royce Avon 208 engines delivering 22,460 lb of thrust, and entered front-line service with the Royal Navy in 1959. 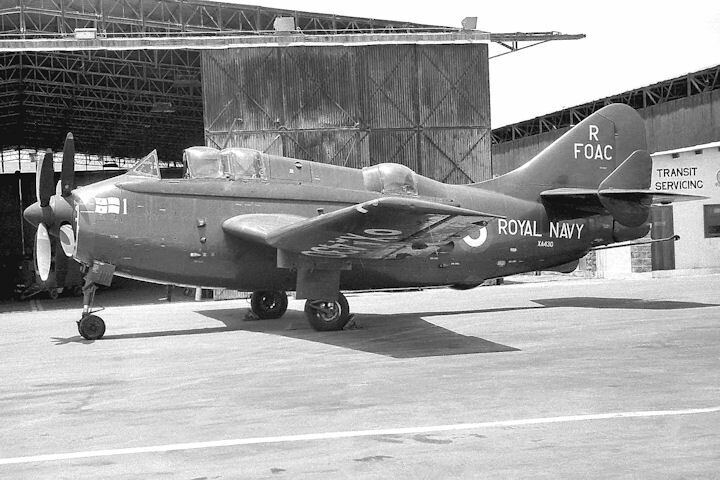 The first naval jet-powered aircraft not equipped with gun-armament, the FAW.1’s main armament comprised four, pylon-mounted heat-seeking air-to-air missiles designed to attack subsonic targets at altitudes up to 45,000 ft, and it remained in front-line service before being superseded by the Mark 2 in the mid-sixties. 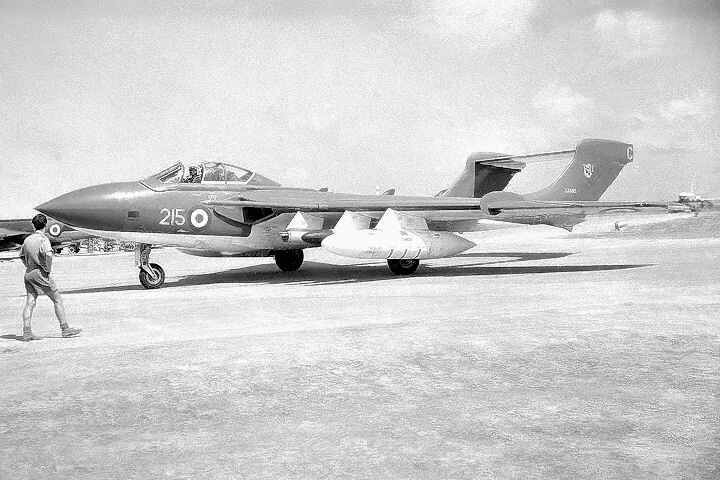 Equipped with the more advanced Red Top missile, the Sea Vixen FAW.2 was able to attack aircraft flying at supersonic speeds and was instantly recognisable by the deeper, extended tail booms protruding forward of the wing leading edges. Both Marks could carry two-inch air-to-air rockets from underwing pods and/or retractable launchers mounted in the lower fuselage. Furthermore, twenty-four three-inch rockets could be carried under the wings for use in the Close Air Support (CAP) role and for ground attack. 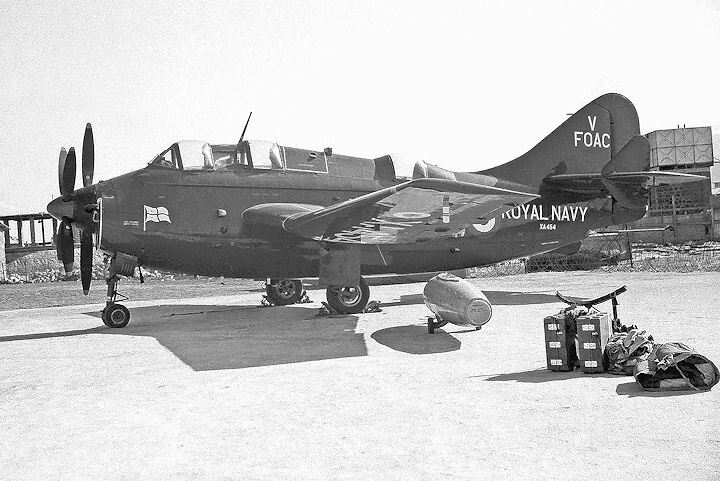 Fitted to some the Mark 1s in 1963, the Bullpup air-to-surface missile was designed specifically to extend the capability of carrier based aircraft when attacking surface ships and submarines at sea, and troop concentrations, gun emplacements, tanks, bridges, railways and trains on land. 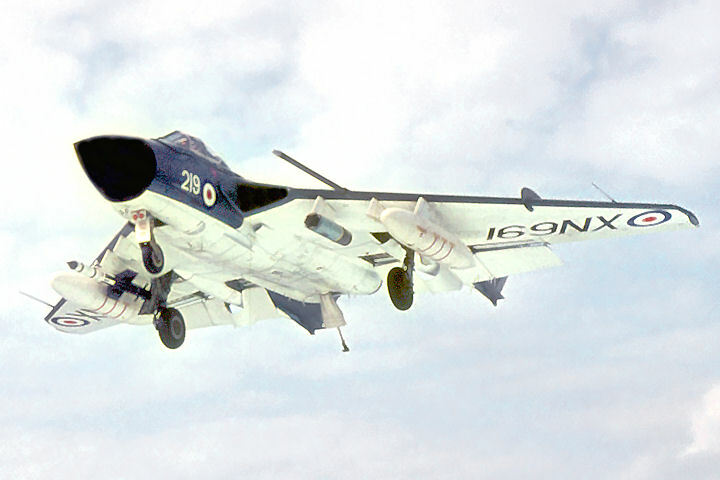 Overall, the Sea Vixen served with one training squadron and four operational, carrier-based squadrons until withdrawal from the front line in 1972. 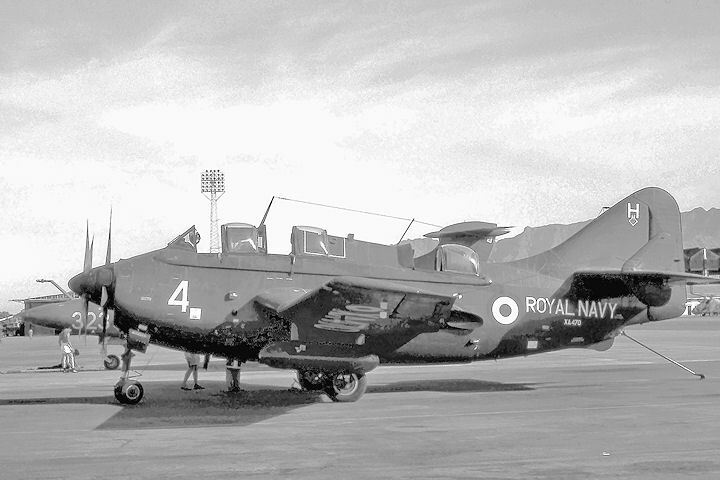 Several aircraft were then selected for conversion to target drones, flying from the RAE airfield at Llanbedr, until 1991 when the last of these was withdrawn. Formally commissioned as a Sea Vixen unit in July 1959, 892 Squadron went on to operate both Marks of the aircraft until October 1968. 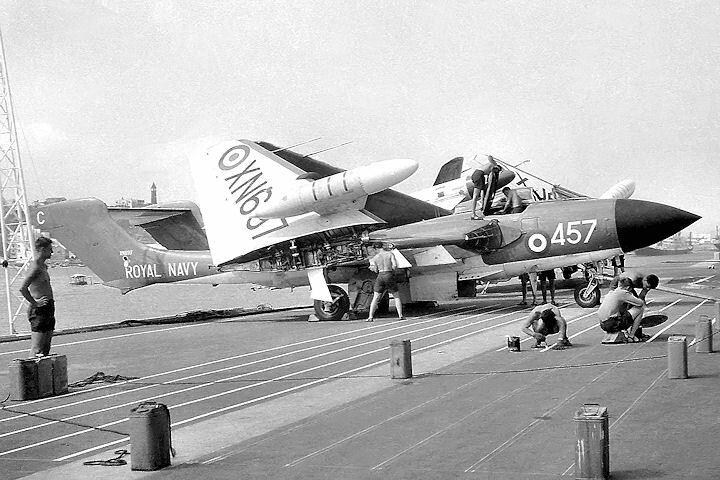 In March 1961, the squadron was embarked on HMS Victorious and is recorded as being engaged in Exercise Sea Sheikh, a three-day Army Support exercise, off the coast of Aden, when it was tasked with the interception of strikes carried out by 8 Squadron Hunters flying out of Khormaksar. And when the Kuwait Crisis broke, the carrier sailed for the Persian Gulf where its Sea Vixens flew sorties in support of the Army. 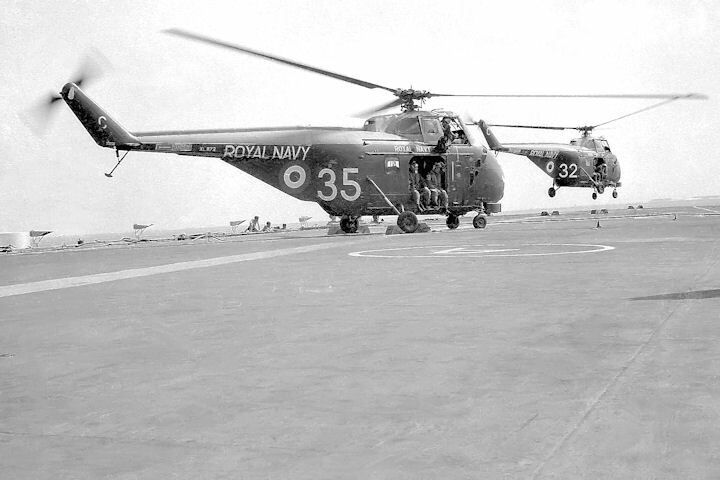 In January 1964, the Squadron was back in Aden waters, this timed aboard HMS Centaur. 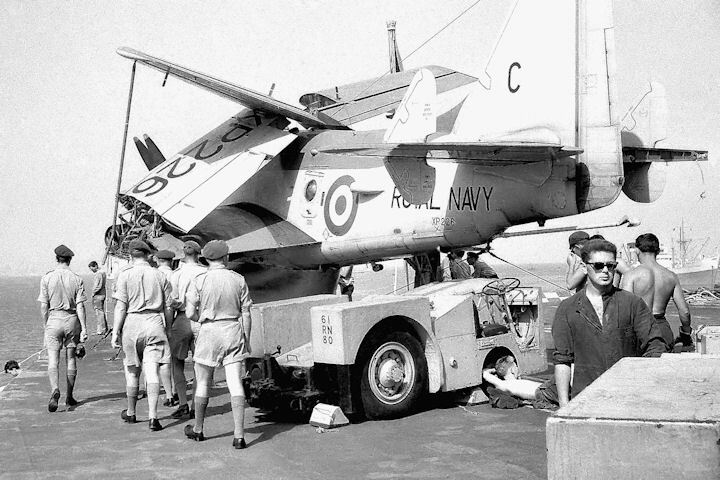 Tasked to carry out a ‘strike’ on the carrier, Hunters from Tactical Wing at Khormaksar were able to get through the ship’s defences which included two Sea Vixen CAPs. 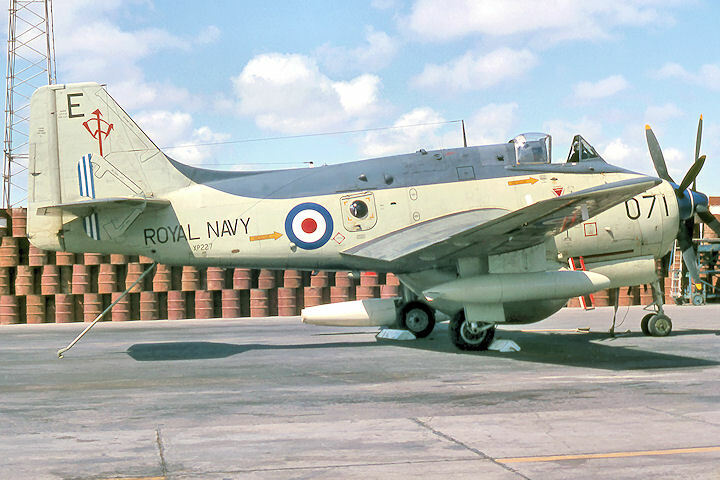 After several weeks off East Africa, Centaur was back in Aden by June, with 892 Squadron’s Sea Vixens flying recce sorties from the carrier in support of ground forces fighting the Quteibi tribe in the Radfan. These were followed by strikes against various forts and strongholds in the Radfan area, each aircraft firing 96 2-inch rockets at their targets. 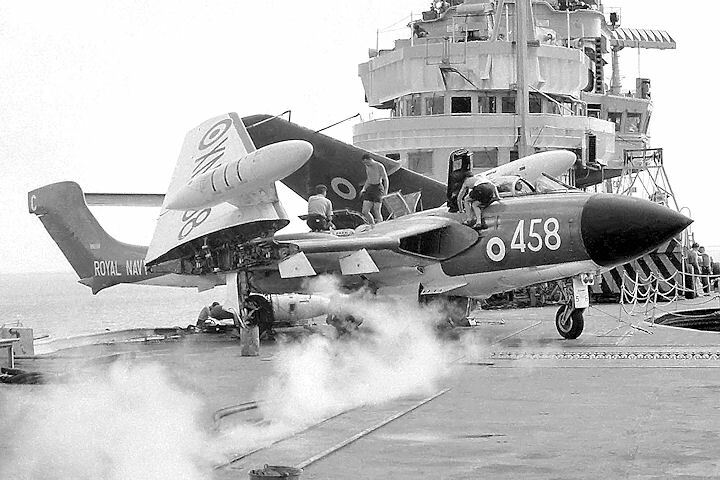 Greater damage was caused to the stone-built structures on subsequent sorties in which 22 3-inch rockets were fired by each attacking Sea Vixen. 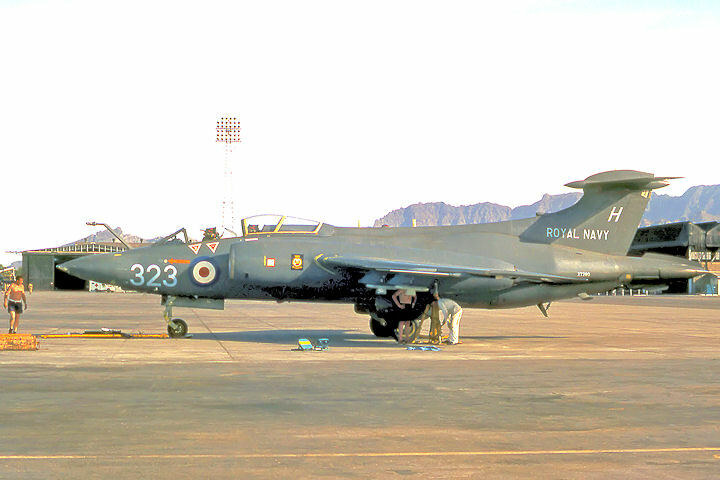 On the last day of 892’s participation in the Radfan campaign, sixteen armed sorties were flown in the area as Tactical Wing Hunter squadrons were attacking targets in the WAP. 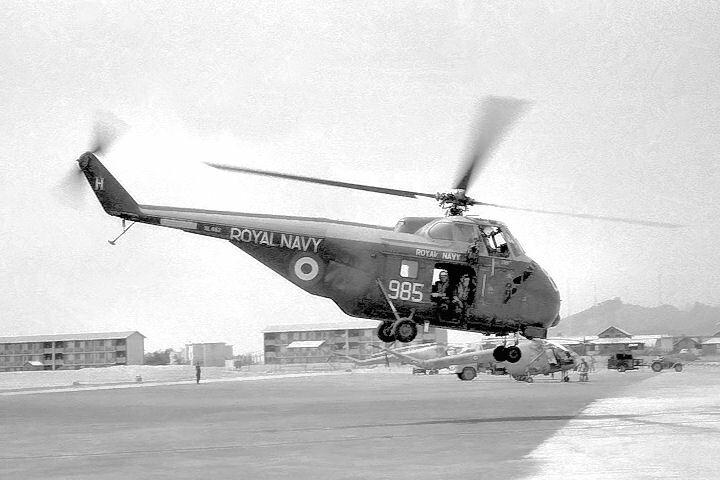 892 Squadron’s final visit to Aden occurred in May 1967 when embarked aboard HMS Hermes. 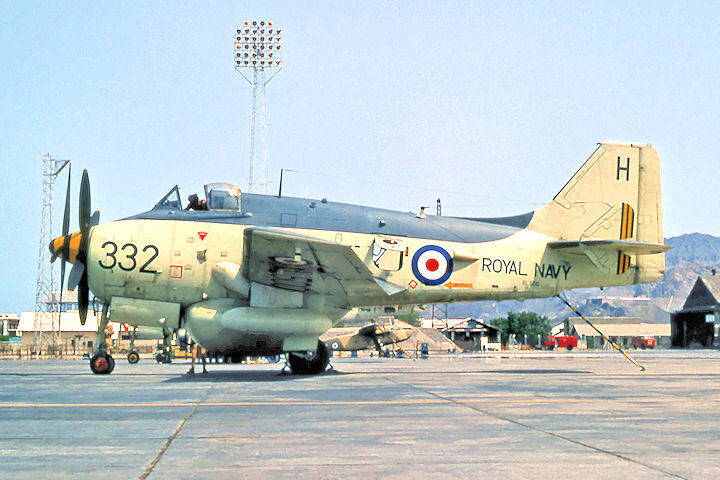 Here it stayed for a two week period as a show of naval air power to the Aden Directorate. 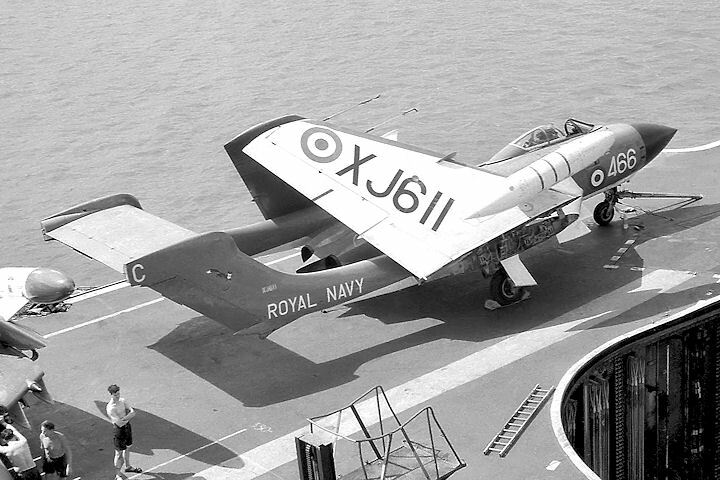 During this time, its Sea Vixens flew border patrols, sometimes on their own and sometimes in co-operation with the Hunter squadrons. One day a CAP exercise was undertaken to see of Hermes could defend Khormaksar on her own without any ground support. 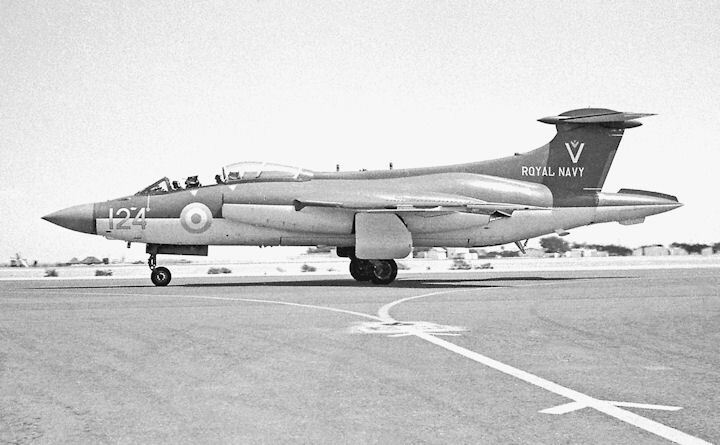 8 and 43 Squadron Hunters were tasked with attacking Khormaksar and most of them were intercepted by 892 Squadron Sea Vixens. 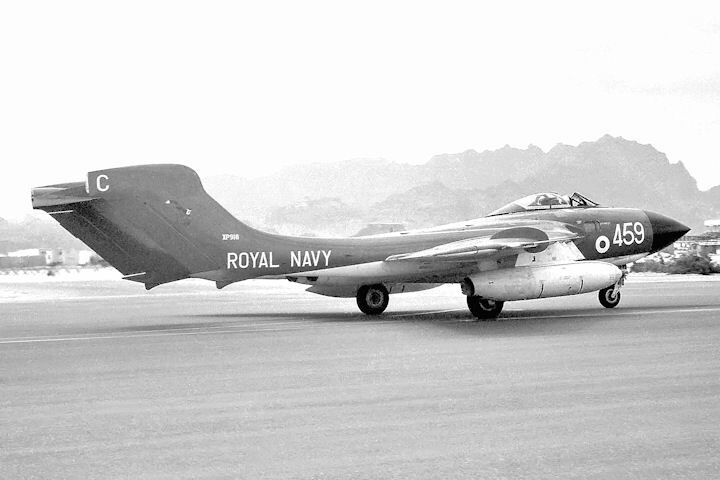 Another squadron to fly the Sea Vixen FAW.1 was 893, which was commissioned in September 1960. Embarked on HMS Centaur, the ship sailed for the eastern Mediterranean in early July 1961 as the Kuwait crisis threatened, then sailed through the Suez Canal to Aden, her aircraft operating from Khormaksar for an eight-day period when most of the MEC Hunters were up in the Gulf. Towards the end of the month, Centaur sailed up to Kuwait where it aircraft could be used to support the Marines and the Army in fending off an attack from Iraq. 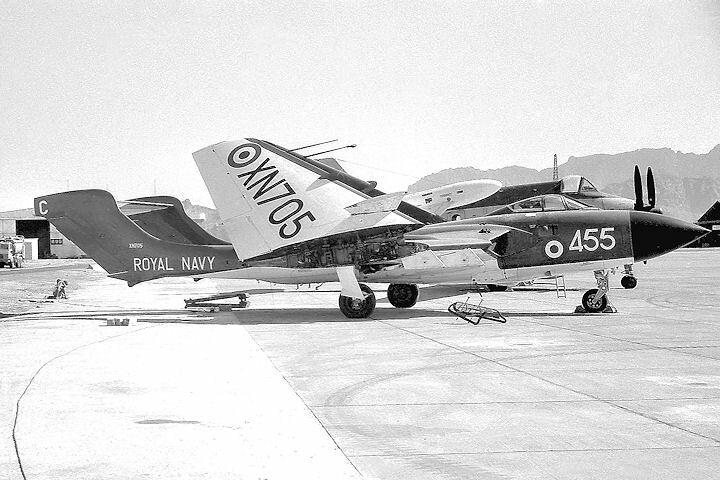 In September 1963, with 893 Squadron embarked, HMS Victorious sailed for the Middle East, and on arrival in Aden, the Sea Vixens flew into Khormaksar. 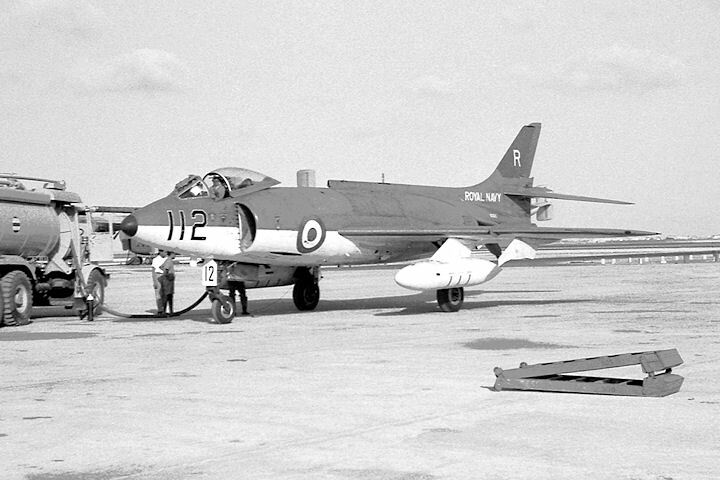 A series of CAPs were flown against the Hunters of 8 Squadron as they carried out practice gun attacks on a splash target towed by Victorious. 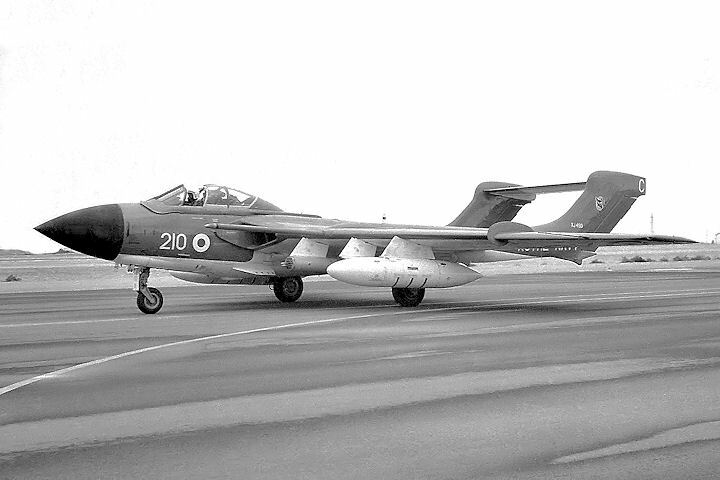 These proved extremely successful (from an 893 perspective) and ended up with some splendid aerial battles, in which most of the Sea Vixens ended up in a ‘killing position’. 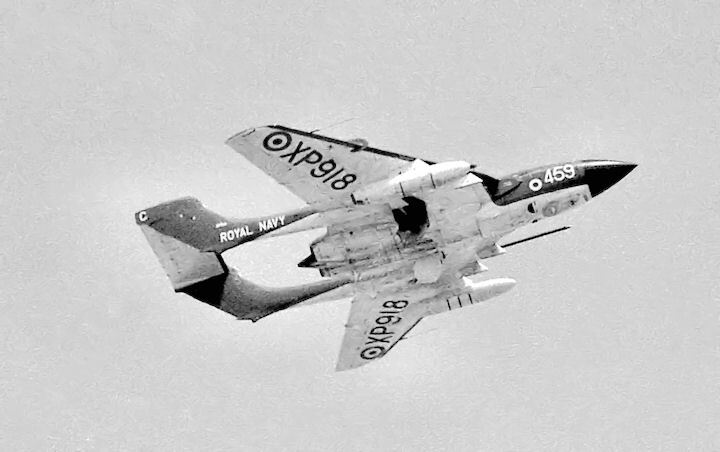 893 Squadron continued to fly the Sea Vixen, in the Mark 2 version, until July 1970, when it was disbanded. Third of the four Sea Vixen squadrons was 899 which was commissioned in February 1961 as the Yeovilton Headquarters Squadron. As such it spent its early years tied mainly to its home base and for short periods operating from carriers, mostly in home waters. 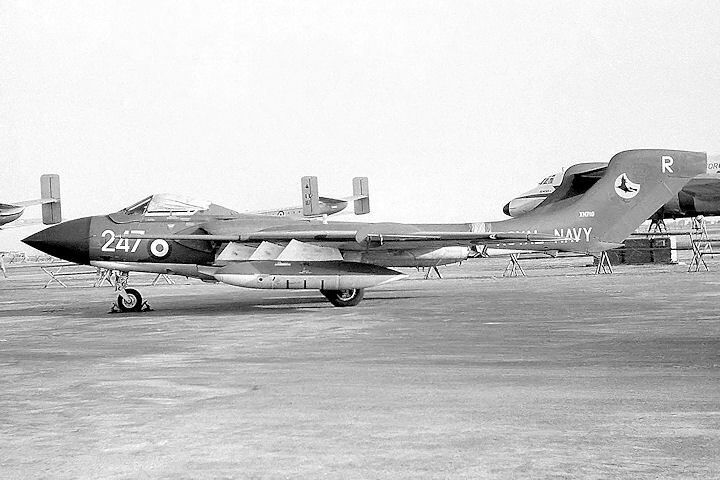 It was not until late 1964 that the squadron, now equipped with Sea Vixen FAW.2s, ventured east of Suez. 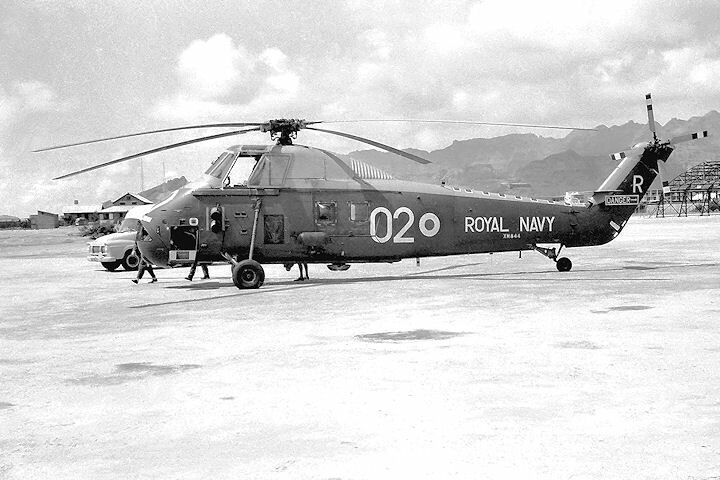 Although they paid several visits to Khormaksar during the ensuing years, it was the Squadron’s presence during the British withdrawal from Aden in November 1967 that was the most prominent. 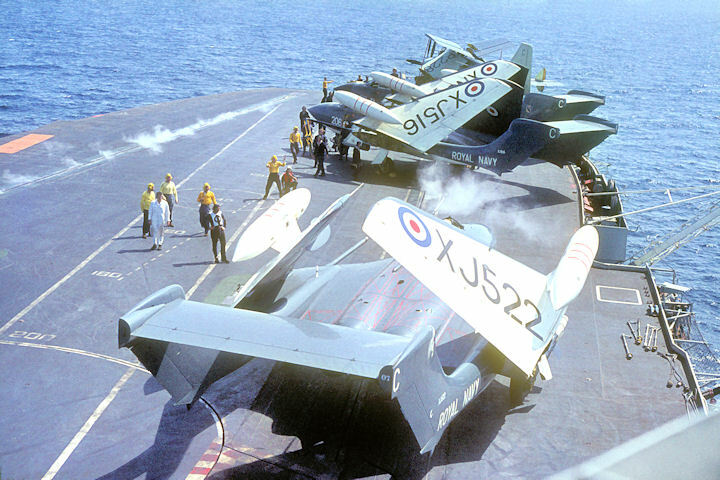 Beginning on 5 November, two up country reconnaissance flights of four and three Sea Vixens respectively were launched from HMS Eagle, escorted on each occasion by a pair of 43 Squadron Hunters. 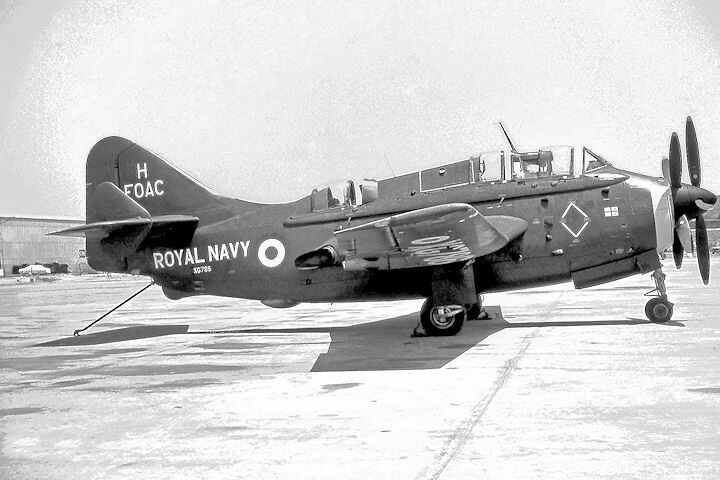 The bulk of 899’s task, however, was to fly CAP sorties. On the 25th, the ship weighed anchor and departed for the Red Sea, allowing 899 to launch its aircraft and fly a farewell flypast over Aden Harbour for His Excellency the High Commissioner. 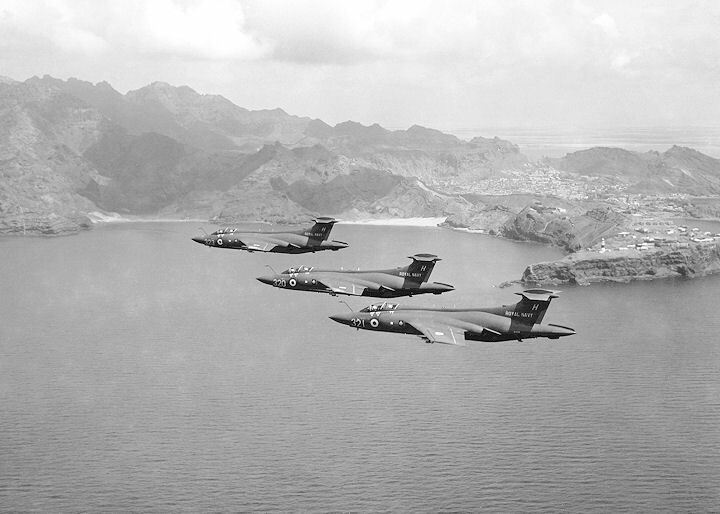 At 15:15 on 29 November, the last day, a final flight of four 899 Squadron Sea Vixens were recalled to their ship, the last British military aircraft to leave the area. 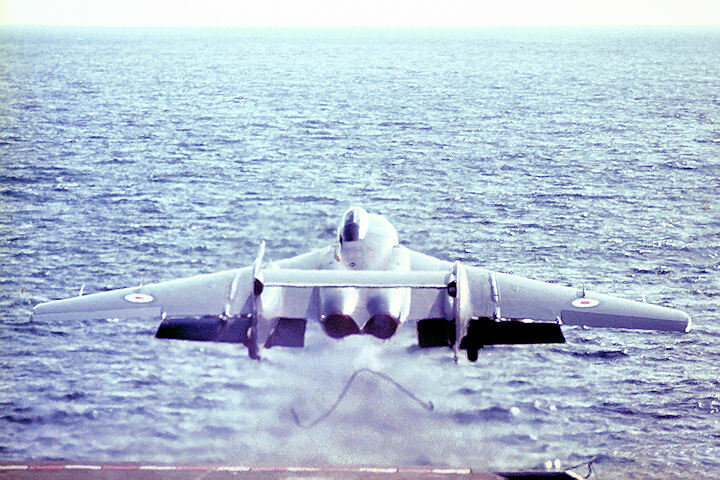 A gallery of images depicting Sea Vixen FAW.Mk.1s in various squadron markings and carrier tail codes, taken at both Khormaksar and on board HMS Centaur between 1962 and 1964. Images of FAW.2s operating in the Middle East would be most welcome. 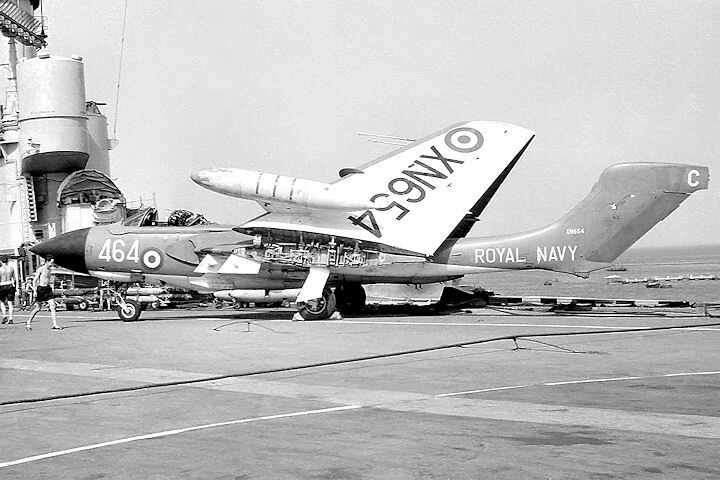 The Sea Vixen was being operated by 893 Sqn from HMS Centaur at the time and the aircraft in the background is Beverley XM109-U of 84 Sqn. This aircraft is currently on display at the Queensland Air Museum. 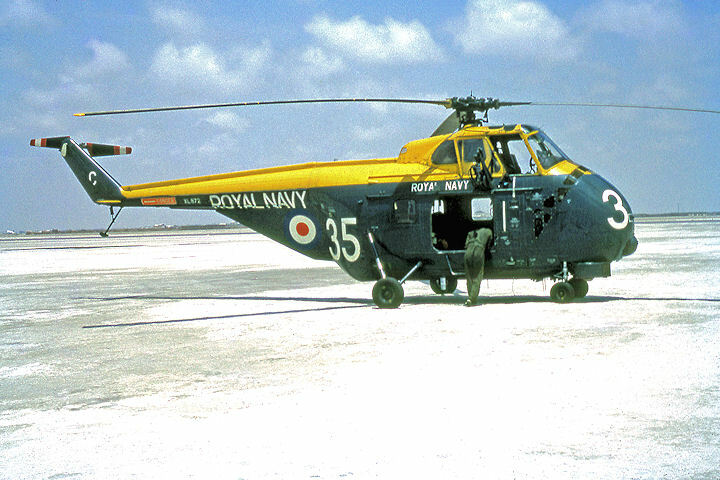 In the 1960s, the Gannet was the workhorse of the Navy’s carrier fleet, performing tasks ranging from communications duties, the collection and delivery of mail to shore bases and the ears and eyes in the detection of hostile aircraft. 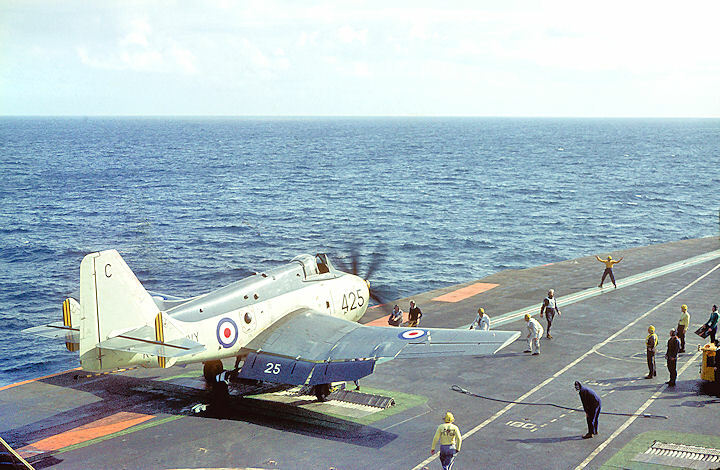 Two Marks of Gannet were in service during this period. 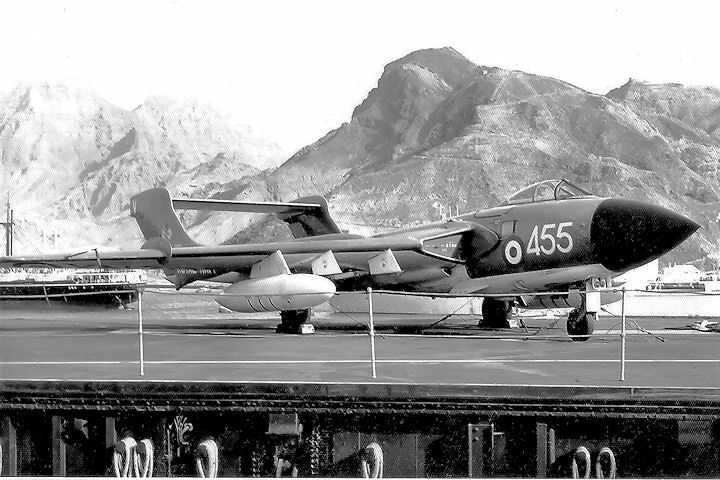 The COD.4 was a conversion of the AS.4 anti-submarine hunter version for use in the General Duties role and by Flag Officers assigned to the various carriers for their personal use. 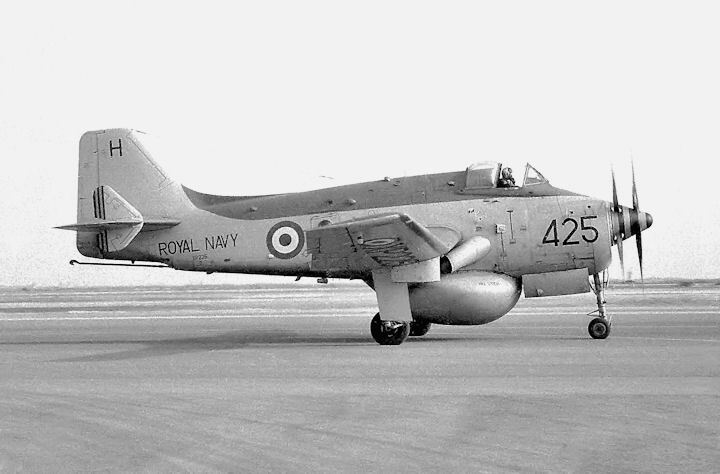 They were allocated to 849 Squadron at RNAS Culdrose and issued to individual carriers as they departed UK shores for missions overseas. 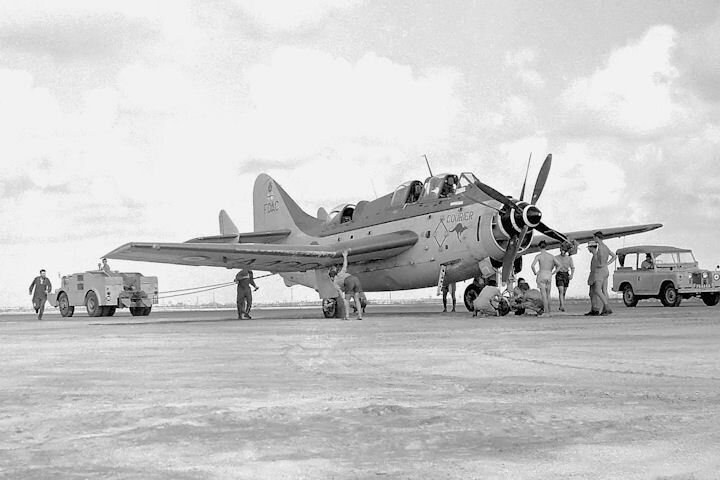 The AEW.3 was designed to detect and identify approaching enemy aircraft when in the air and was distinguishable from other Marks by a huge under slung radome and the repositioning of the radar operators consoles to deep inside the aircraft fuselage. 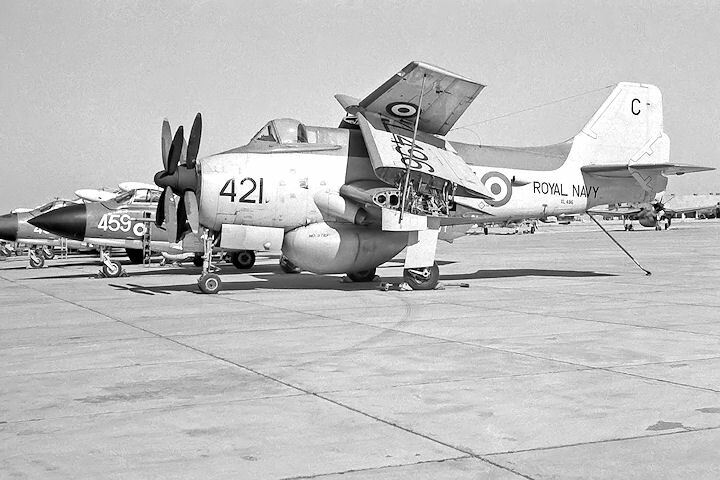 Four AEW.3s were assigned to each of four Flights (A-D) within 849 Squadron, with one Flight assigned to each carrier at sea. Aircraft assigned to a specific Flight could be identified by the appropriate letter on the fuselage mid-point. An ingenious feature of FAA operations that intrigued RAF personnel was the ability for its aircraft to carry Palouste engine starter units. Built into a pod-like structure with similar external dimensions to the standard Naval drop tank of the period, and carried on an underwing pylon, the pods were equipped with a set of retractable wheels for use at remote locations. 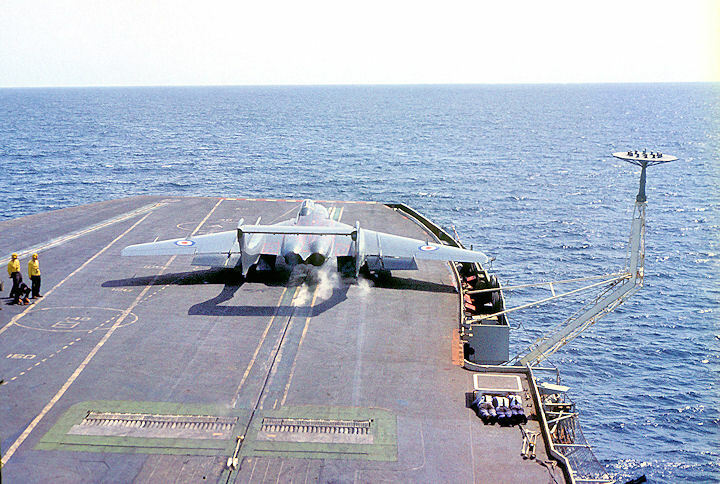 Note the splash target being towed by the carrier. The glazed radar operators hatch can easily be seen to the front of the roundel. This aircraft is currently being restored to airworthy condition at Exeter. 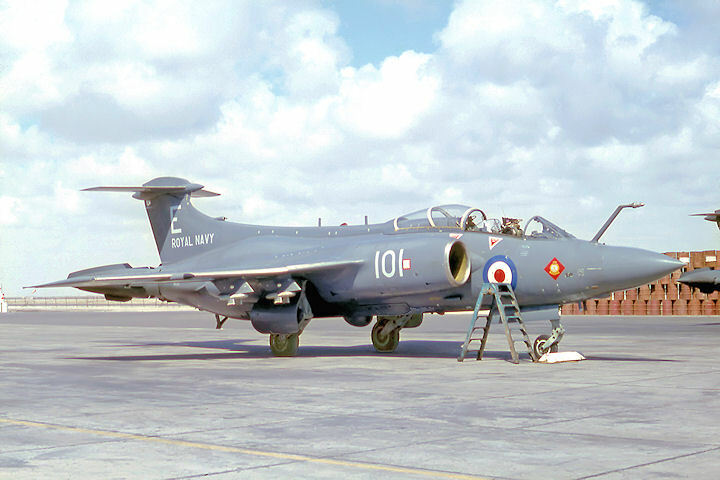 The Buccaneer entered front-line Royal Navy service with the Gyron Junior-powered S.1 version in 1963 as the replacement for the Scimitar. 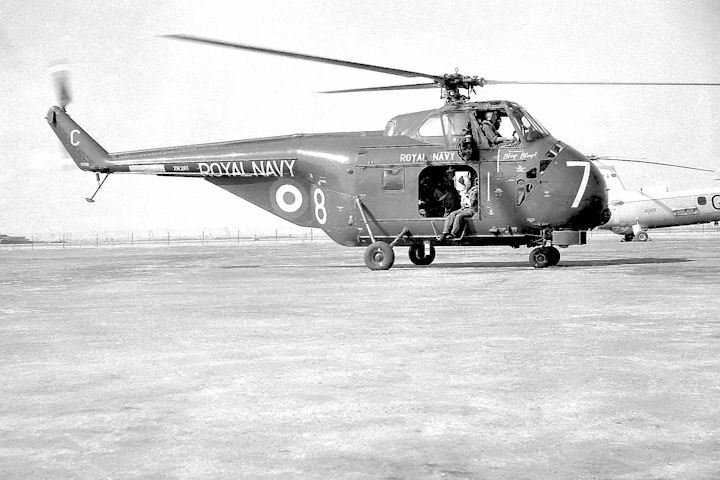 It made its first appearance at Khormaksar in 1963 when a number of 801 Squadron aircraft flew in from HMS Victorious. 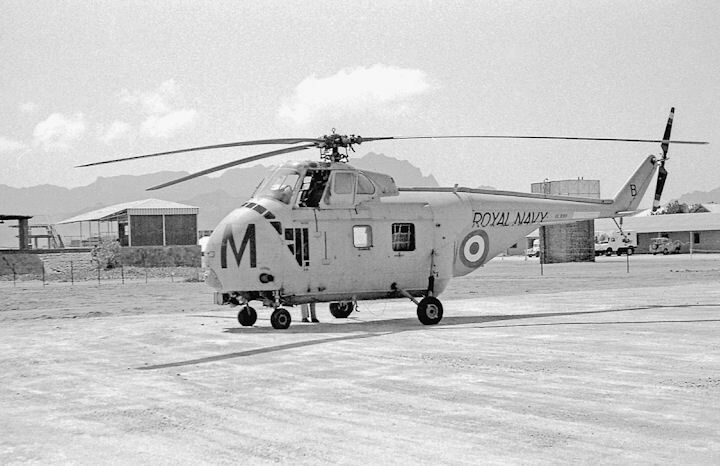 Considered as being underpowered for its intended role, only forty production examples were produced and the Mark 2 version, equipped with Rolls-Royce Spey engines giving nearly 60% more power, was soon in production and these too became a common site in the skies over Aden. 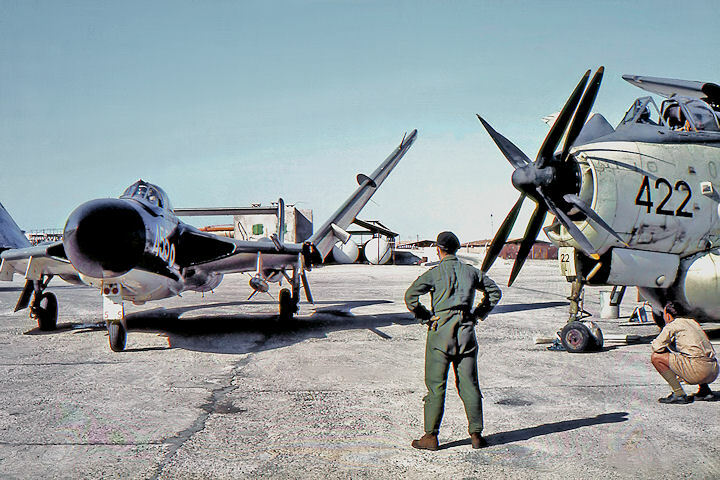 The S.2 was distinguishable from the S.1 by the much larger diameter engine air intakes. 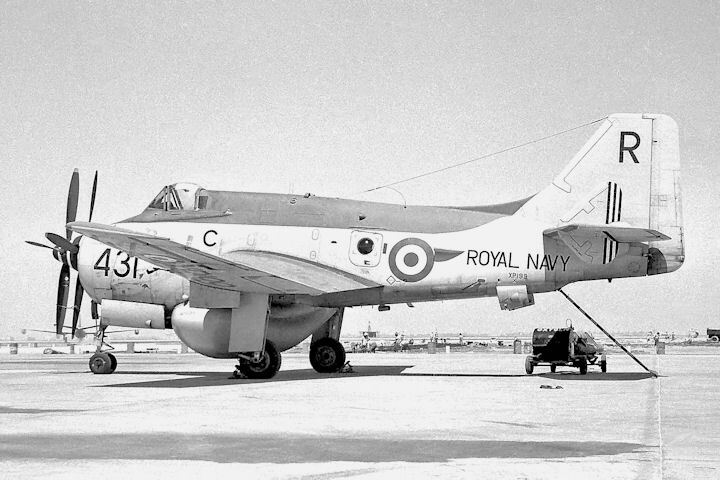 Used in the SAR role and a communications transport between ship and shore and, perhaps more importantly, as ‘aircraft guards’ during aircraft take-offs and landings on carriers, the Whirlwind served the Royal Navy for many years and was a common sight at Khormaksar whenever a carrier passed through the area. Following the early-sixties conversion of the aircraft carriers HMS Albion and HMS Bulwark into Marine Commando carriers, a number of HAS.7s were adapted for the commando carrying role and assigned to both of these ships. 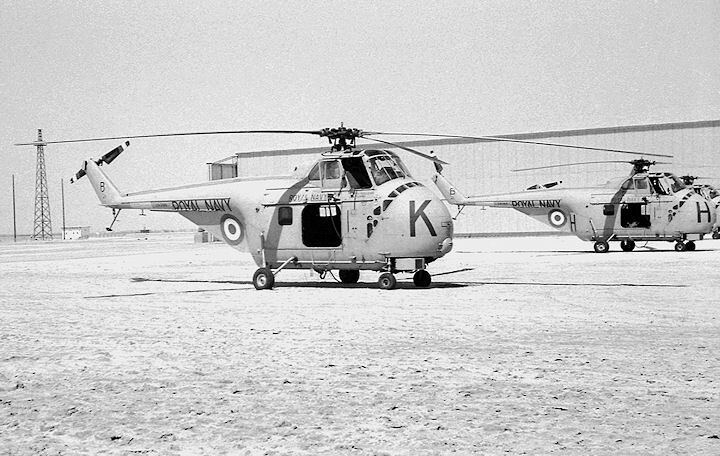 Painted in an all-over sand livery, they too appeared at Khormaksar where they were based during up country operations. 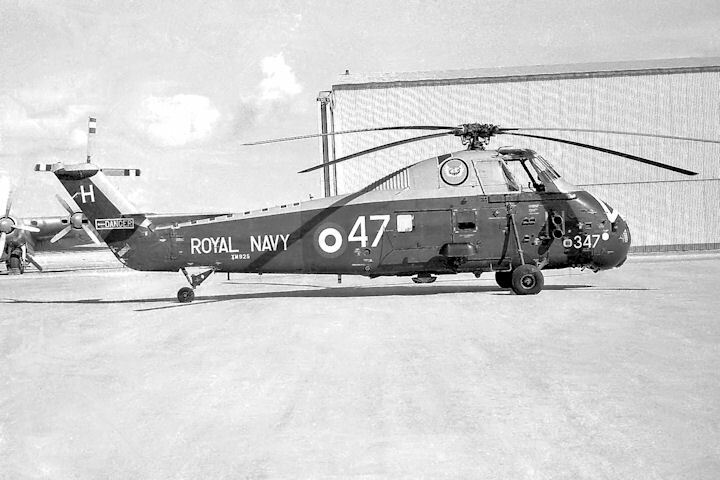 The Wessex joined the Fleet in around 1962 and it became a regular visitor to Khormaksar. 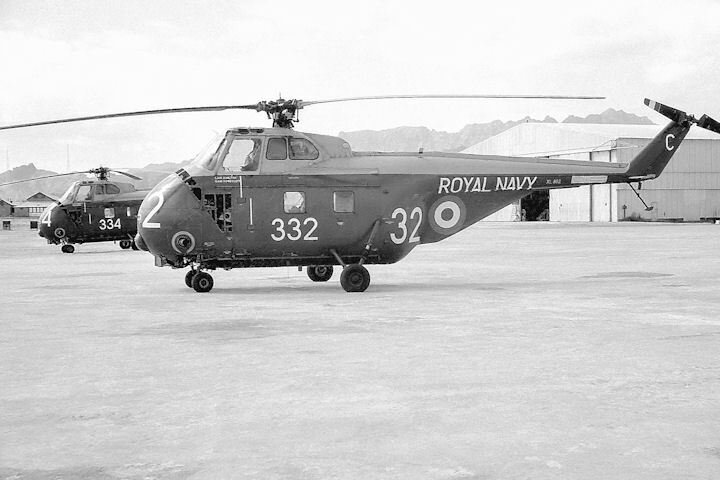 In January 1964, six 815 Squadron aircraft were used to lift a number of troops to the 6,000 ft peaks of the Radfan mountains during Operation Nutcracker. All photographs in the gallery below were taken by the author. 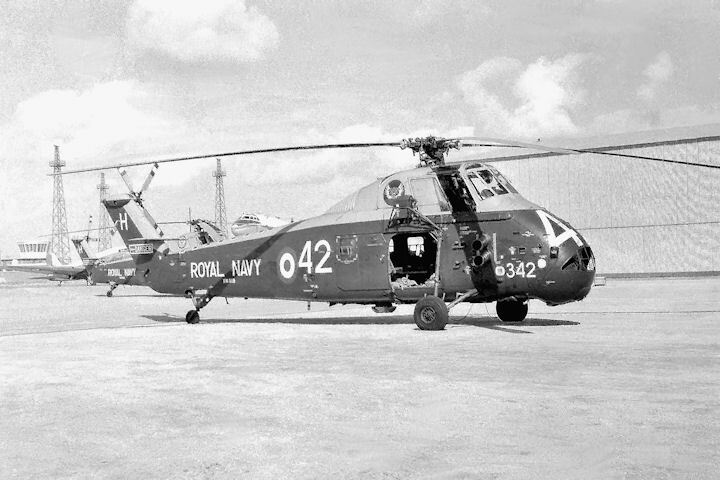 When the first Commando carrying Whirlwinds arrived at Khormaksar in 1963, they were parked near the station swimming pool, XL899-M depicted here.